FootGolf is a hybrid sport combining Golf and Soccer. Players play on a shortened course following closely the rules of Golf. From a designated tee, each player kicks a #5 regulation soccer ball to a 21-inch diameter hole or cup, with the goal of making the ball into the cup in the determined par score or better. 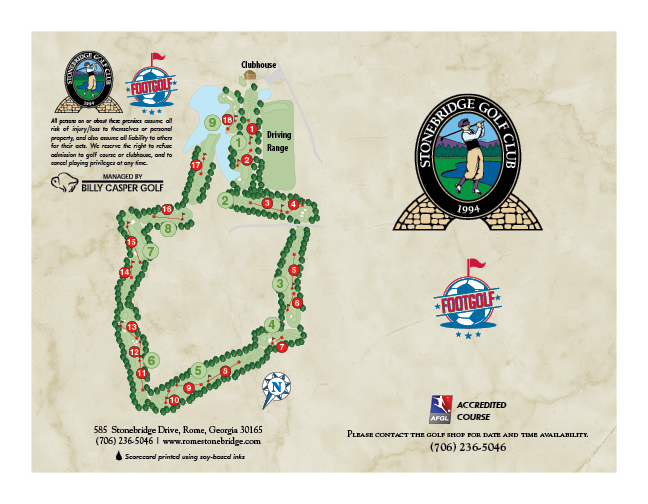 Click here to see Foot Golf events at Stonebridge. Check out these links to find out more about the sport, and check back for updates! The American FootGolf League | What is FootGolf? 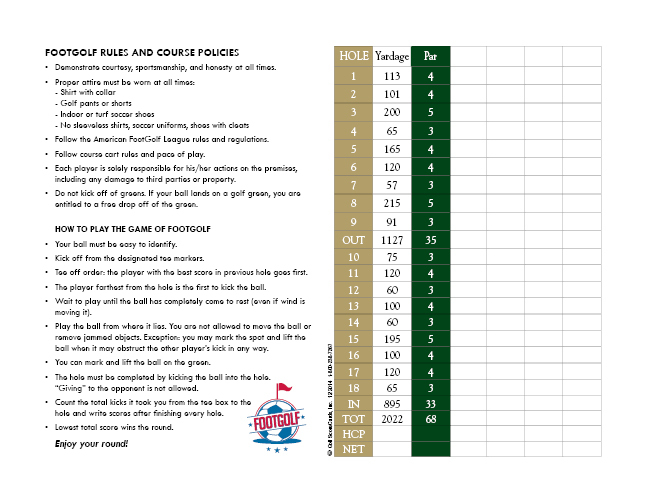 Check out the best Foot Golf Scores!